Blowing up watermelons, a canon and weedeating in super-slow motion. New Macbook Pro, The 9 Apps I need … and why. The time, January 29, 2010. 1am. After an evening of importing and exporting quicktime. My 3 year old Macbook pro kicked the bucket. The logic board burned out on it and I either pay $1078 to fix an old machine or i buy a brand new one. What do I do? I buy a new one. My hard drive on my old machine was fine but I wanted a clean install. My music and pictures were safe from harm. I restored those, but now what? Well, I start with the browser… Firefox. Chrome. Safari. I use all three, I’ll be honest, firefox was my first download. Then followed by Chrome. They are both very speedy but there are still some pages that don’t work in chrome and I still enjoy many of my Firefox Add-ons. I will go into more specifics about each browser in a future post. Click above to try an alternate if you’d like. I work with alot of video content, Quicktime files, DVDs, VHS, BETA, you name it! Once of the things I need to do once a week or so is burn a DVD without menus. Nothing is easier than toast. Ripping, authoring, copying. You name it. I’ve been using Google docs recently but I still need Microsoft Office suite installed just in-cae something doesn’t work right in Google. Mac OSX 10.6 (Snow leopard) ships with Quicktime X. Quicktime X makes trimming and exporting to an iPhone or youtube really easy. One thing I can’t do is convert video files to whatever format I need. This is something I do alot of. If you throw your Snow Leopard disc in your Mac and choose “Optinoal installs” you can install Quicktime 7 as an additional program. 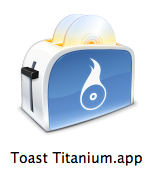 It will be located in your utilities folder in Applications. Adobe Photoshop, resizing images, converting formats, slight image tweaking. I don’t only install Photoshop. I install the entire adobe line of software. I never know what I’ll need and I want to be able to open anything. I don’t do graphics composting and/or 3d effects but I have After Effects in-case I need to open a project. Same goes with Illustrator. Final Cut Studio. I’m an Avid editor but when I cut footage at home I do it on Final Cut. Not to mention sometimes I need to batch export a ton of Quicktimes. Final Cut is, I think, the easiest the way to accomplish this. PDAnet for Mac. My android phone is great on the web but sometimes I need a laptop with full web browser to surf the net. (How-To here) PDAnet works by tethering my Android device to my Macbook Pro via Bluetooth or USB. Works great, check it out. Tweetie – Is a nice small and simple Twitter client. It gives you everything you need in a basic Twitter program and it is a small window. Lastly, DeskLickr. This is an app that runs in the background and it sets nice hi-res images from Flickr as your desktop background. You can see the source (or not). It will load when you start up, if you tell it to. And it has a history so you can always go back to that really nice looking Extreme close-up image of the snow melting. Ok, I know I said nine applications and this is more than nine… sorry. Questions? Comments? let me know. If there’s one think I love about my Motorola Droid, it’s that the Droid is just a small computer. I have my email, web browsing, games, documents, pictures, etc. But there are still times when I need my notebook. With everything in “the cloud” these days it’s tough using your computer without an Internet connection. Good thing we can use the 3G from the Droid as our network connection. Verizon’s data plan is not unlimited. Tethering might breach your terms of service. If you use too much bandwidth Verizon will charge you. I am not responsible for anything you do with your own devices. Verizon has not supported tethering via the Droid yet, but with a simple program install you’ll be tethered in less than an hour. The Following instructions are specific to MacOSx but are probably similar on the PC. The App is free but apparently it blocks secured sites. So be careful where you surf. Install the app to your phone and install the app on your notebook. After Rebooting your computer you will see a new icon on the top of your MacOSx desktop. Before we can properly make the phone communicate with the laptop we’ll need to activate “USB Debugging” in the phone. 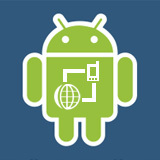 In your droid click Settings -> Applications -> Development -> USB Debugging. I haven’t been able to use Bluetooth correctly and I understand that it’s a battery killer. If you receive an error, restart both your phone and computer.